EFS is an independent organization within the Swedish Church with emphasis on missions, lekmannaengagemang and living Christianity. EFS is organized in associations and are found throughout the country. 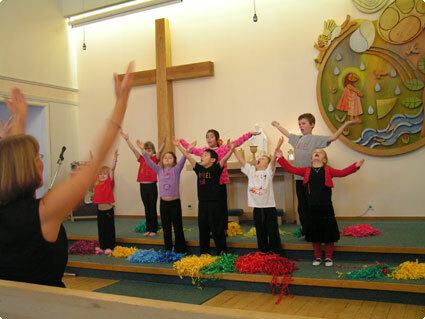 When the Swedish church now resets to meet the 2000’s, we want the EFS to take an active part in this work. We believe that in the future the church needed people movements to Christ in the center confirms and authorizes the individual Christian to participate. ETUC should be a theological and practical contributions for this and is therefore looking for ways to make an impact for the local parish life. EFS is approximately 20 000 people who have chosen to join a missionary association. They have done so in order to “promote the growth of Christ’s kingdom” as it says in the EFS statutes. It means that the people awaken faith in God, to deepen the faith and portray the Christian faith in everyday life. EFS wants to provide an opportunity for fellowship in the Church – while maintaining respect for those who want to come to church anonymously. Therefore we organize ourselves in compounds, where each member is equally important and has the same right to influence and involvement as priests and other employees. Everyone is welcome to the initiative and to take responsibility for what he or she wants to implement. Frösövallen run by EFS missionary compound in Östersund. The association has about 170 members and operates in Östersund and the surrounding. Welcome to visit us at www.efsostersund.se.